This Indian inspired dish is a delicious side that can be prepared and plated within thirty minutes. 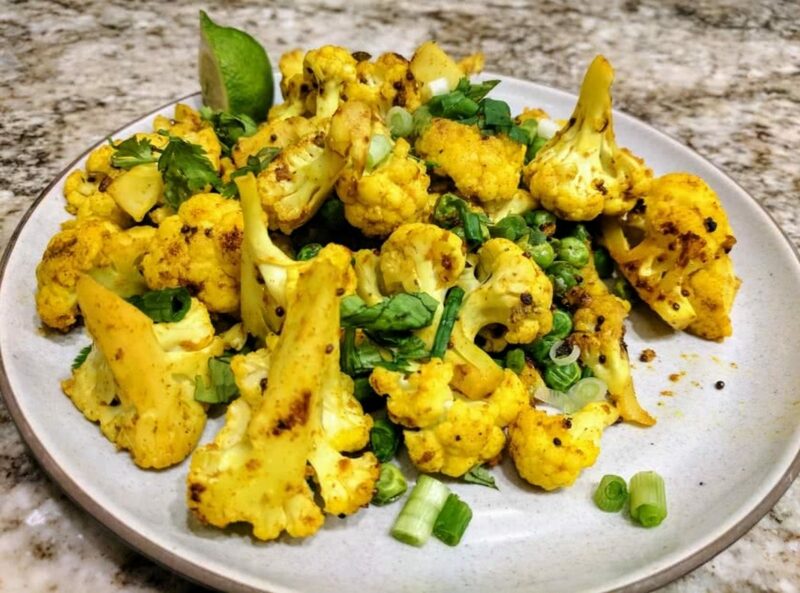 By roasting the cauliflower in the pan versus the conventional oven method results in wonderfully tender florets. The Indian spices come through nicely without being overpowering and could be served alongside an array of Asian dishes.